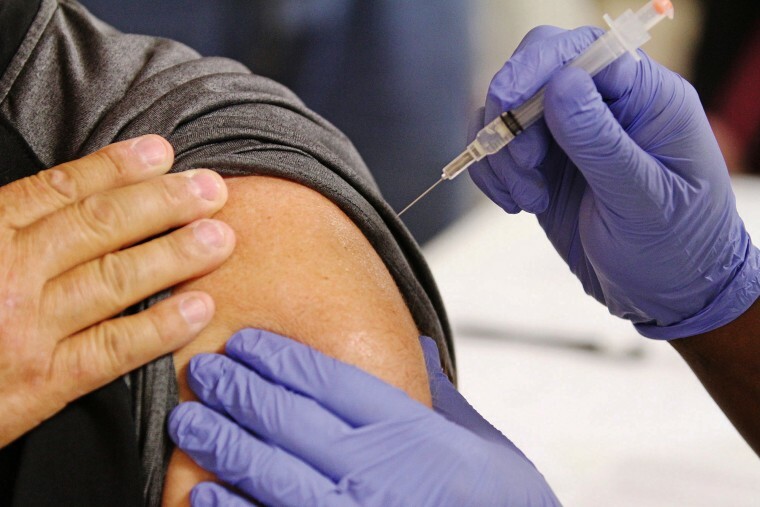 No, the flu shot won't give you the flu. Unlike Halloween or Thanksgiving, we can't consult our calendars to know exactly when it will hit, but we know it's coming: the flu. Doctors and pharmacies are advertising the annual flu vaccine, prompting many to ask, "Should I get the flu shot?" You needn't read too far to know that the overwhelming consensus of the medical community is a resounding YES. But other questions abound: What is in this vaccine? Why should I get it every single year? If I get the vaccine can I still get the flu? Can the shot actually give me the flu? With so many viruses circulating, it's a yearly challenge for scientists to predict which three or four will prove to be the season's most prevalent and potent flu viruses. It's not unreasonable to have such questions when a stranger in a lab coat asks you to sign a waiver and then comes at you with a needle. And many of us have had experiences that warrant skepticism about the flu vaccine, myself included. Last year I got the flu shot and then three months later, I went to the doctor with a sore throat and fever and what did he tell me I had? The flu. Why did I even bother getting the vaccine? I brought these and other questions to a few doctors, including Dr. Michael Chang, a pediatric infectious disease specialist with Children’s Memorial Hermann Hospital in Houston, TX who generously took an hour to go through it all with me, though not without adding that it would take many more hours to really explain this "fascinating virus," and the vaccines engineered to fight it. We call it the flu like there's only one, but every year the flu is different, and is not singular — there are different types of flu viruses. The reason we call it the flu instead of being more specific is because each of the viruses function more or less the same, and because they pop up like clockwork every year in a seasonal epidemic. "Every winter we know that a flu epidemic will spread around the globe, with maybe three or four strains of the virus [proving to be] the most predominant," says Dr. Chang, adding that a flu virus typically enters the body through the eyes, nose and mouth. From there it targets the lungs, which is where things can get really bad. "The flu will cause all the usual upper respiratory symptoms, but it can also cause viral pneumonia or viral lower respiratory infection which can be more serious, and if you have a very severe flu infection, other organs in the body can be affected," says Chang. "Predicting what the predominant strains of the flu will be each winter is done through a lot of surveillance around the world," says Chang. "We look at all the cases of flu that happen around the world to try to predict each season in advance." Once they pinpoint the strains that appear to be the epidemic ones, scientists grow the vaccines either in chicken eggs, or in specialized bacteria. Then they inactivate the virus; "essentially they kill it and chop it up," explains Chang, adding that this is not the only way to engineer a flu vaccine but it is currently the most common. These dead flu parts get packaged with other ingredients needed to make a vaccine (a concoction of proteins, fats, and antigens). The fact that the viruses in the vaccine are dead is a critical point: a dead virus cannot infect you. It just can’t. "A lot of times people will say they or their children got the flu from the vaccine, and that is just not possible," notes Chang. "That said, some people do feel bad after: muscle aches, low grade fever, achy arm [where they had the injection]. I always tell patients that this is good in the sense that it means your immune system is having a response, which is what we want." What you don't want is an allergic reaction, of course — but these are exceedingly rare. "If after getting the vaccine there is any difficulty breathing, swelling of face or tongue or blockage of airways, that is a severe allergic reaction," says Chang. Patients should also keep an eye on their temperature. A fever of around 101 degrees is common. A Tylenol should help reduce this and other symptoms, but if you’re still ill or getting worse after 48 hours, or if the site of injection is swelling tremendously to the point where you cannot move it — get to the doctor. Chang notes that even if you're among the lucky few who feel totally fine after the flu shot with no soreness or low fever, this does not mean your immune system didn't respond or that the flu vaccine didn't work. Now, let's say you get the flu shot and two days later you get the flu. Well, you didn't get sick because of the vaccine (because again, dead viruses are non-infectious), but it does point to a loophole: the vaccine takes two to three weeks to have full effect. This is why doctors recommend getting it as soon as it's available. If you get the vaccine now, you should be covered through the duration of the flu season, which can start as early as mid-fall, and end as late as early spring. How long the vaccine lives in your system depends on your immune system, but for the general patient it's between six months and a year. "The vaccine is not that long-lived in part because the viruses that cause the flu are very smart and keep changing to infect us," says Dr. Megha Tewari, a family medicine doctor at Memorial Hermann Medical Group. "This is why I tell my patients to get the flu shot every year." Optimally, the flu vaccine will prevent you from getting the flu, but that's actually secondary to the primary goals of the vaccine which are to prevent epidemic and to reduce the cases of severe flu infection. How long the vaccine lives in your system depends on your immune system, but for the general patient it's between six months and a year. "At its most effective the flu shot would prevent you from getting the flu, but really when you look at studies, the purpose of the vaccine is to reduce the number of severe flu illnesses that require going to the hospital," says Chang. "In other words if you get the flu vaccine, the real goal is even if you do get the flu that you are not as sick as you would be if you had not gotten the vaccine." Basically, if your immune system is primed to deal with the virus, should it still attack you, you likely won't develop a severe flu infection. Another purpose of the flu vaccine: not everyone can get it, so it's important that people who can receive it do so that "we build herd immunity," says Dr. Tewari. "A lot of patients who have immunological diseases, or an organ transplant, have cancer or other conditions may not be strong enough to get a flu vaccine," Tewari adds. "But if those around them are vaccinated, we develop a herd immunity, so that hopefully the few people who can't get the vaccine will not get infected." The vast majority of people over the age of six months are A-OK to get a flu shot. Both Dr. Chang and Dr. Tewari insist that there are very few exceptions. Even if you have an egg allergy (remember flu vaccines are often cultivated in eggs) your doctor can recommend an alternate type of vaccine if needed. Just last week there was a study published suggesting that the flu vaccine could be associated with early-term miscarriage in some pregnant women. But this finding is far from conclusive, and doctors still advise pregnant women to get the flu shot. "Let’s be clear: this study does not suggest the flu vaccine can cause an increased risk of miscarriage," says Dr. Sherry Ross an OB/GYN at Providence Saint John’s Health Center. "The flu is more likely to cause serious illness in pregnancy compared to those women who are not pregnant [because] in pregnancy there are changes in the immune system, heart and lung function that make pregnant women more prone to severe illness from the flu which can lead to hospitalization or even death. Other problems as a result of the flu include dehydration, miscarriage and preterm labor." Furthermore, a flu shot helps protect newborns from getting the flu. "Babies can't get the flu vaccine until thy are six months, so by getting the vaccine herself, the mom will make the antibodies and pass it onto the baby, protecting them from severe flu for the first months of their lives," says Dr. Chang. Still, it is totally understandable to be concerned, so if you are pregnant and have questions, talk to your OB/GYN. And if you're a parent who is unsure if your six month old is really ready for the flu vaccine, pay a visit to your pediatrician. "If anything it's a good excuse for a well baby visit," adds Chang, who admits that as a pediatrician he holds some bias when recommending that parents take their little ones to the pediatrician for their flu shots, but says he doesn't see any problem with having them administered at your local pharmacy. Children, like elderly people, are indeed more susceptible to developing severe flu. This is in part because they're ultra exposed in schools and daycare facilities (and you know, they may not have the best hand hygiene), but also because their immune systems haven't been toughened up. "Children have had less experience with flu, whereas adults have more antibody from previous infections," says Dr. James D. Cherry, a distinguished research professor at the David Geffen School of Medicine at UCLA and UCLA Mattel Children’s Hospital. While doctors recommend that virtually everybody get their flu shot, Dr. Tewari, based in Houston, Texas makes the timely point that if you are in a disaster-affected area, it's particularly critical. "Hurricane Harvey and the other natural disasters affecting many have brought dirty water, and viruses are not visible like mold so we don't even know what's in the air," says Tewari. "People have been displaced, are living in shelters, wearing borrowed clothes and eating donated food. You just don't know what you're being exposed to. Plus, when you’re stressed your immunity gets lowered." For many of those still in the midst of natural disasters, a flu shot may sound like a ridiculous luxury at the moment, but it should be noted that many schools and county health departments run programs offering free flu shots. Even if you have health insurance, your flu shot may actually not be covered, so check with your provider. Presently the cheapest flu shot available looks to be at Costco, for $20.